It is an anthrquinone derivative. It inhibits interiukin -1, an important cytokine implicated in osteoarthritis. 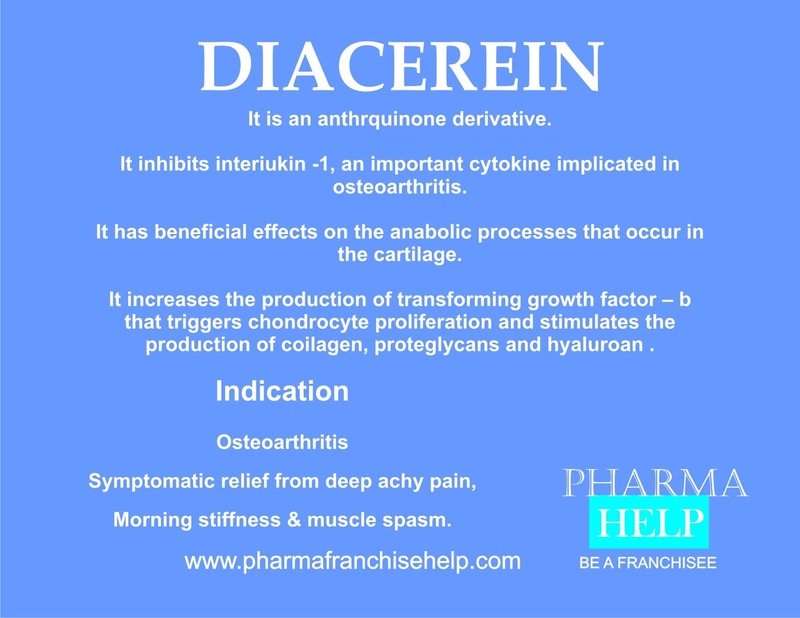 Diacerein has beneficial effects on the anabolic processes that occur in the cartilage. It increases the production of transforming growth factor – b that triggers chondrocyte proliferation and stimulates the production of coilagen, proteglycans and hyaluroan . Morning stiffness & muscle spasm.